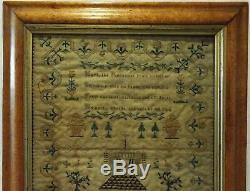 Early 19th century linen and silk work sampler by Matilda Ann Pretty aged 10. 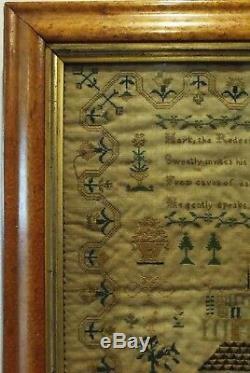 Though the sampler itself is undated, there is an old label on the back of the frame giving us Matilda's details which include the date she was born - 26 June 182 6 - thus dating this piece to 1836. 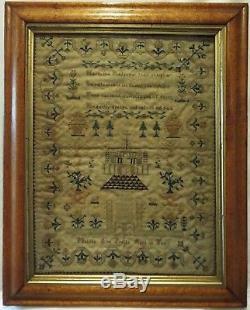 This sampler is just stunning with fine quality stitch work throughout, the moreso when one considers Matilda Ann was just ten years old when she completed it. 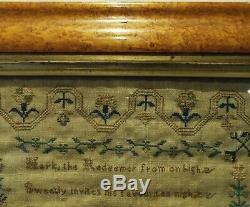 The upper section of the linen is stitched with the following short verse. Hark, the Redeemer from on high. Sweetly invites his favourites nigh. From caves of darkness and of doubt. He gently speaks and calls us out. The verse has a floral urn on each side, a floral border above and below, the lower one with a row of four trees beneath, a fruit basket at their side. 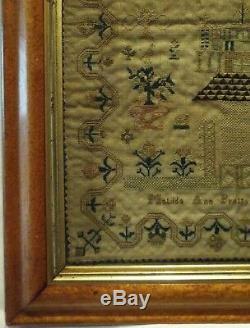 The lower section of the linen is stitched with an impressive church/temple with a floral urn, birds and trees on each side. There are steps and a long pathway in front of the church leading down to a gated wall, the gate having a floral trellis on each side. The walls have flowers behind them with a small dog and floral urn plus bird above. Matilda Ann's name and age are stitched beneath the wall then the whole thing is surrounded by a deep floral border with a rose in each of the four corners. 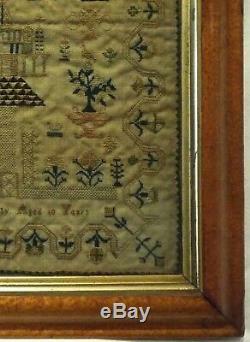 The linen has overall, slightly brown discolouration consistent with its age, darker down the left side edge with a light crease across the centre and general undulation (not as obvious as it appears on the photographs) There is also a very small area of damage in the bottom left corner. 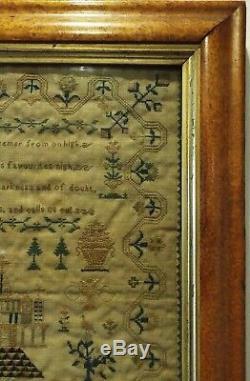 The sampler is behind glass so I'm not able to see the reverse, but the colours of the silks appear good though they are likely to have mellowed to some extent over the years. 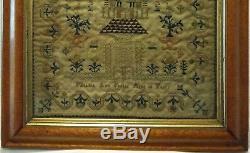 The sampler is contained within its seemingly original mid 19th century bird's eye maple frame with gilt slip. The frame is in good condition with impressive configuration. " 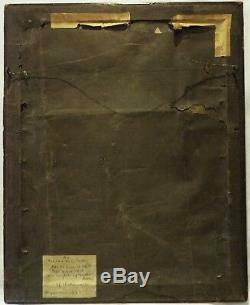 (sight size) and 16" x 19 3/4 including the frame. PLEASE NOTE - ANY MARKS ETC ON THE PHOTOS WHICH I'VE NOT ALREADY MENTIONED, ARE FROM THE GLARE AND REFLECTION OF THE GLASS AND NOT ON THE SAMPLER ITSELF. 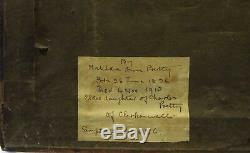 The item "EARLY 19TH CENTURY CHURCH & VERSE SAMPLER BY MATILDA ANN PRETTY AGED 10 1836" is in sale since Tuesday, June 26, 2018. 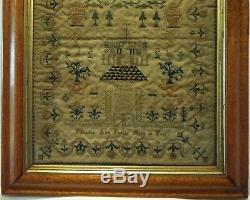 This item is in the category "Antiques\Linens & Textiles (Pre-1930)\Samplers". The seller is "cockleheart" and is located in Sowerby Bridge. 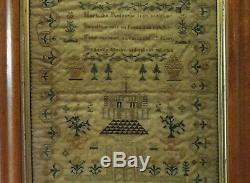 This item can be shipped to United States, Canada, United Kingdom, Germany, France, Australia.